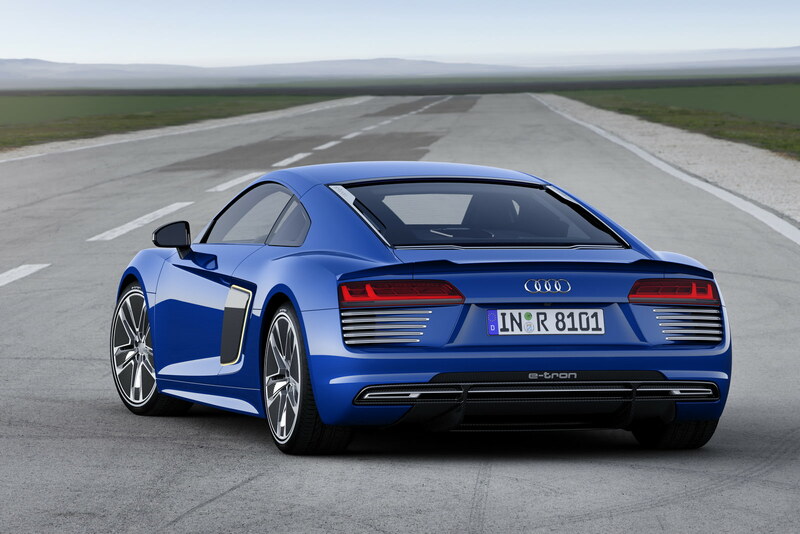 The second generation of the Audi R8 forms the basis for two more models. Audi has made major engineering developments in its high-performance electric sports car, the R8 e-tron. The latest evolution of the vehicle takes up the multimaterial Audi Space Frame from the new series-production model. The supporting structure was enhanced by a CFRP rear-section module comprising the luggage compartment. The walls of the CFRP luggage compartment well are corrugated. This way, in the event of a rear-end collision, more energy can be absorbed despite the reduced material weight. Thanks to targeted modifications to the outer shell and on the wheels, the Audi R8 e‑tron achieves an aerodynamic drag coefficient (cd) value of 0.28. In terms of performance and range, the car enters entirely new dimensions. The large T-shaped battery is structurally integrated into the center tunnel and behind the occupant cell – optimally positioned in the car. It supports the dynamics of the R8 e-tron with its low center of gravity. Audi produces the high-voltage battery itself, for the first time based on a newly developed lithium-ion technology which was specially conceived for a purely electric vehicle drive. In comparison to the first technology platform, the battery capacity has grown from 49 kWh to approximately 92 kWh. This progress was possible without changing the package.